The idea of this outdoor bean bag chair is to give your family feeling of comfort in whatever environment they are. From pools to indoor game watching, this comfortable chair will change your view on furniture. With its modern design and every color that you could possibly imagine, this Original Comfy Bean Bag Chair could be the perfect gift for your loved ones, or yourself. Looking for a Bean bag Chair? Read our Exclusive Buying Guide. 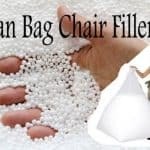 Lazy bag chairs are filled with Styrofoam granulate in its design that changes according to the position of your body and therefore, gives you maximum comfort when you are sitting. 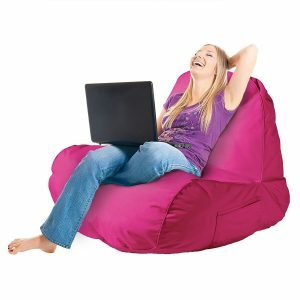 The lazy bag chair filling is considered to be the most ecological. Also, with the antibacterial and anti-allergenic material and chair for indoor use, the lazy bag chair is ideal for your home. The Original Comfy Bean Bag Chair is available in many different shades, sizes, and shapes and therefore, it can fit well with your surroundings. The lazy bag is especially suitable for people who have problems with pain in the spinal and neck area. From sitting to lying down, bean bag chairs can both serve as a chair and a bed. 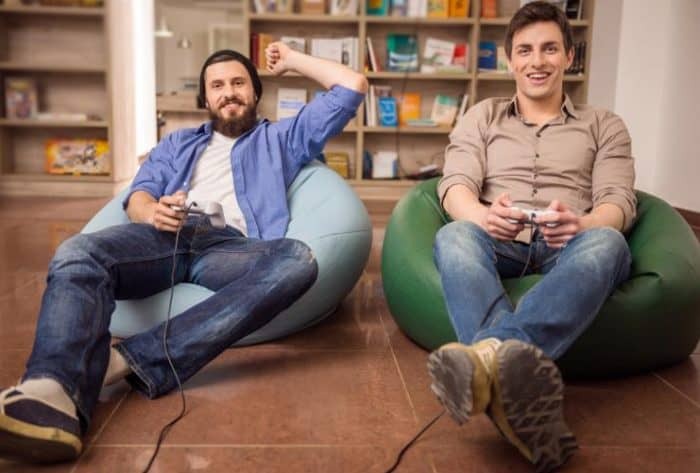 Since it serves the purpose of two, bean bag chairs enables you to save that extra money. Bean bag chairs present a wide variety of colors, shapes, and styles to choose from. 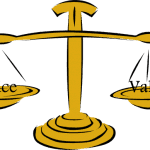 Since it only comprises of two inner and outer layers, it is impossible to fix it once it is broken. Even stitches can wear out if applied. Since it does not comprise of excellent materials like sofa or a bed, bean bag beds are flattened quite quickly. Moreover, it also get holes from where the foam escapes. Its design is not like the other Bean Bags that are closer to a floor. You will have the feeling of sitting in a real chair. Q: Can I take my Bean Bag outside? A: It is made for indoor and outdoor use. Its material is resistant to UV lights and direct sunlight. It is 100% waterproofed, so you could enjoy next to a pool without worries. Q: What should I use to maintain the material? A: You need a damp cloth and your Bean Bag will always be shiny. Can you tell me what the fire rating is for the comfy chair? Thanks for contacting us. But to get the fire rating report, you need to contact the manufacturer.